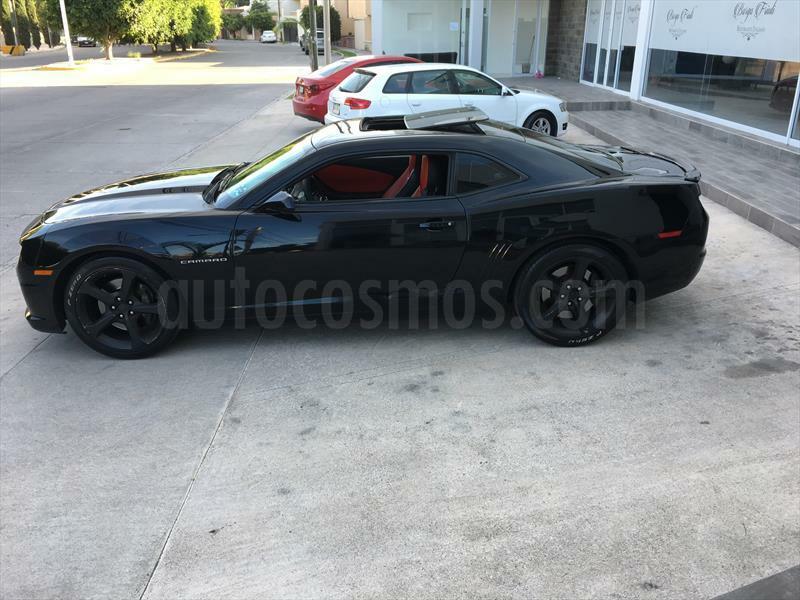 CAMARO SUPER SPORT V8 6.2 Lts 2013 SUPER CARGADO EDICIÒN ESPECIAL DE ANIVERSARIO, AUTOMATICO, 42,000 Kms, FACTURA ORIGINAL, ÚNICO DUEÑO, TODO PAGADO, LLANTAS PIRELLI ZERO, ÙNICO Y EN EXCELENTE ESTADO, CON DUPLICADO DE LLAVE CON CONTROL, IMPECABLE !! DATE LA OPORTUNIDAD DE TENERLO UNA VEZ EN TU VIDA……ES UN CAPRICHO QUE DEBES DE DARTE NO PODRAS OLVIDAR EL RUGIR DE SU MOTOR EL PODER TAMBIEN ES CONFORT! NUNCA SE USO PARA CORRER, NI SE ABUSO DE EL. TIENE MUY POCO USO.